The Athletes' Village -- the largest infrastructure project associated with the 2015 Pan Am and Parapan Am Games -- will be ready to turn over to the TORONTO 2015 Pan Am and Parapan Am Games Organizing Committee in early 2015, well in advance of welcoming over 10,000 athletes, coaches and team officials. More than 300 families will have access to affordable rental and ownership housing with a move in date set for spring 2016. The new George Brown College residence will provide housing for 500 students. The former industrial lands will be transformed into a beautiful, sustainable mixed-use neighbourhood. The new community will be accessible and LEED Gold certified. 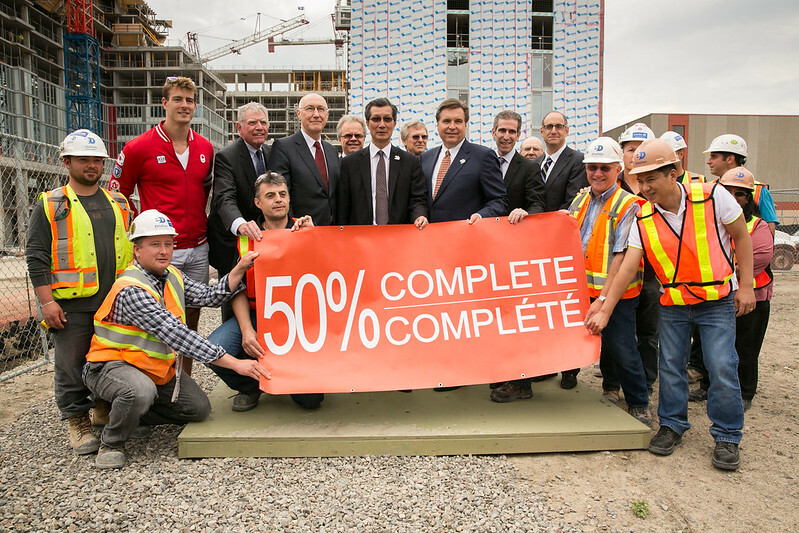 Completing the Athletes' Village on-time and on-budget is part of the Ontario government's commitment to provide Pan Am and Parapan Am athletes and officials with an exceptional experience, on and off the field of play. The project will include one-, two-, three- and four-bedroom units, addressing the need for mixed-use affordable housing within the City of Toronto. Ten per cent of these units will be fully accessible, housing para-athletes during the Games and persons with disabilities after the Games. The construction of the Athletes’ Village is expected to create and support 5,200 jobs, including employment for approximately 700 workers on site at the peak of construction. The Pan Am and Parapan Am Games will create 15,000 jobs and bring more than 250,000 tourists to the Greater Golden Horseshoe and is the first international multi-sporting event held in Ontario in more than 80 years. This document was published on May 23, 2013 and is provided for archival and research purposes.